Prominent congressional, city and university officials debated potential solutions to UC housing and food insecurity at an ASUC town hall discussion Friday. The goal of the event, which was organized by the Office of the ASUC External Affairs Vice President, was to develop a bridge between lawmakers, students and organizers working on these issues, according to an EAVP press release. 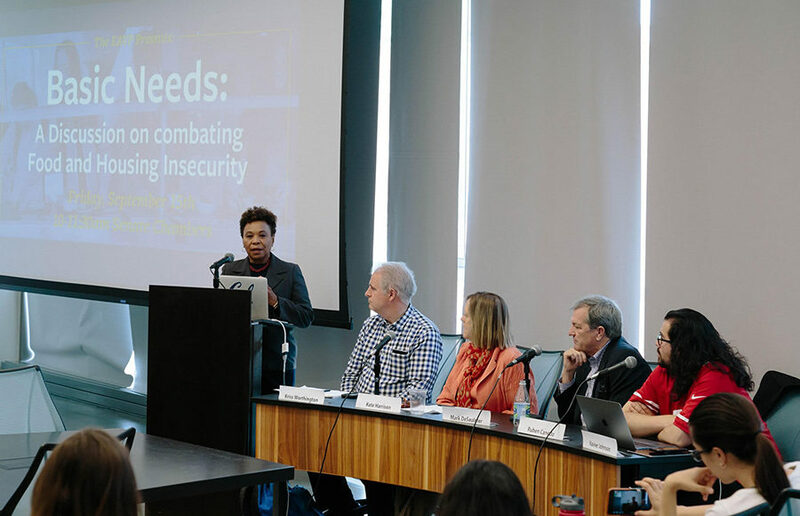 The event featured Rep. Barbara Lee, D-Oakland, and Rep. Mark DeSaulnier, D-Concord, as well as Berkeley City Councilmembers Kriss Worthington and Kate Harrison and UC Berkeley Basic Needs Security Committee chair Ruben Canedo. Taylor Harvey, a campus senior and co-founder of the Homeless Student Union, moderated the discussion. According to Lee, the cost of housing is significantly higher now than it was in the 1970s when she was a campus student studying social work. During the meeting, she emphasized that students should not have to deal with the stress that comes with worrying about basic needs and should focus instead on passing their classes and becoming leaders. “Stay woke, stay engaged and help others in the community because by helping others, you are basically helping yourselves,” Lee said during the meeting. 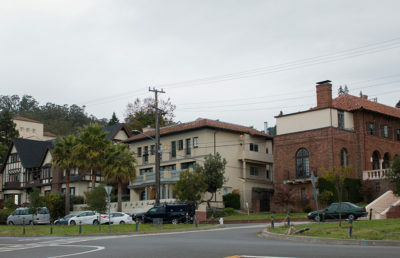 Harrison said during the meeting that she believed the Bay Area’s housing crisis should be identified as a human rights issue. She also criticized the state government for being silent on the matter, alleging that its commitment to housing development has dropped by 90 percent in the past 10 years. Worthington was critical of California Gov. Jerry Brown’s stance on the issue of housing insecurity. 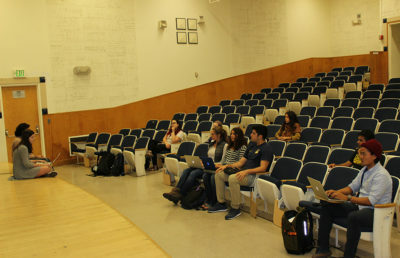 A small number of students occupy on-campus housing in Berkeley, Canedo said during the meeting, which makes it UC Berkeley’s responsibility to help students who live off campus as well. He added that millennials, unlike students in the 1960s, cannot pay full tuition by working through the academic year because of increased costs of attendance, including costs related to housing and food. Research conducted across the UC system shows that 42 percent of university students are food-insecure. DeSaulnier said there should be a sense of urgency in coming up with solutions and suggested that the top 1 percent who benefit from an educated workforce should also be more willing to invest in it. Worthington also appealed for greater student involvement in city government.